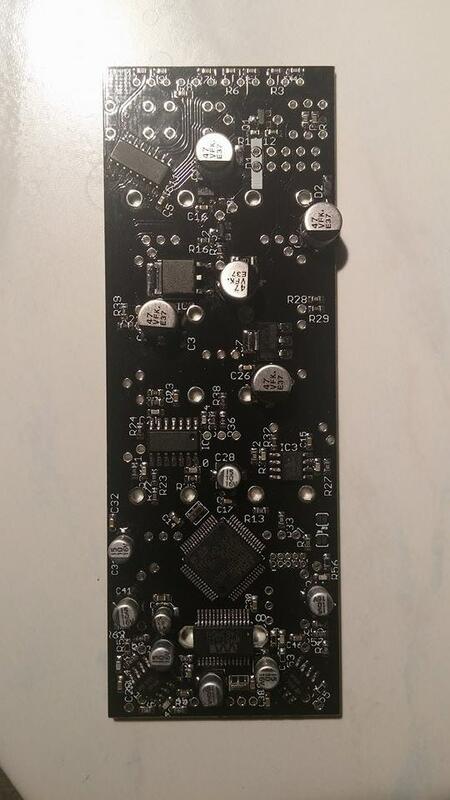 This uClouds is built with a top line manual SMD process involving pneumatic solder paste dispenser and hot air rework station (no iron mess here) using original components acquired from Mouser. 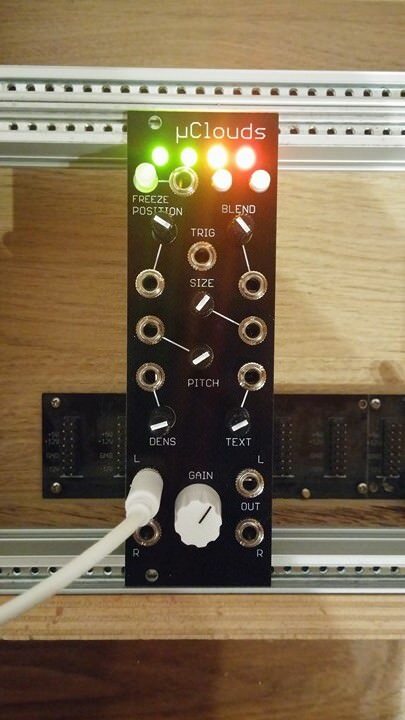 It sports a custom black aluminium panel and is calibrated to a standard and flashed with the latest firmware from Mutable Instruments or the parasite alternative for Clouds (by default i flash with Parasite, so if you want original Mutable firmware you have to specify this when making the purchase). All in all the technical and cosmetic conditions of the module are as new! Im an experienced builder with a lot of builds under my belt, both SMD and through hole. Hence i also offer 1 year warranty for my builds (that is for technical failures, not for abuse and carefree treatment of the module). The panel bolts and power cable are included in the package with the module which ships in a static shielding bag. Shipping worldwide is 15 eur. It ships from EU. Regarding payment, i accept paypal (either FF option or GS option, but you pay the fee - get in touch for the fee amount) or bank transfer. I wont accept trades for modules since im not amping my rack atm. I can provide more pics of the module and I will pack it tight and photo the process and look of the final package - important if anything happens to it on the road. 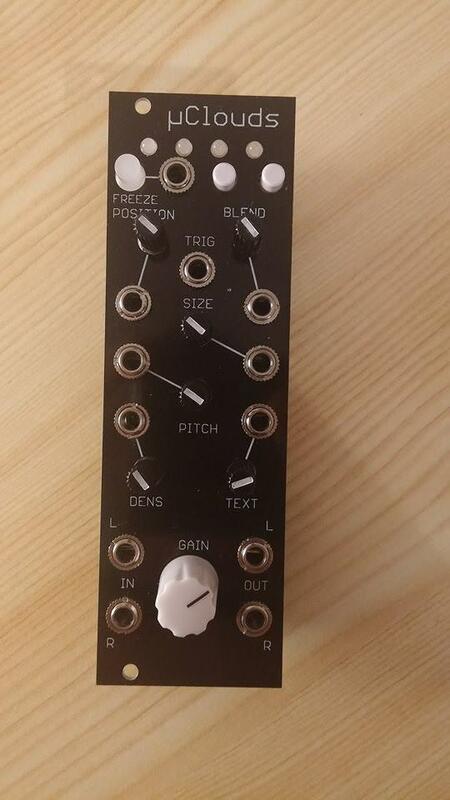 I also have other DIY mutables to offer. 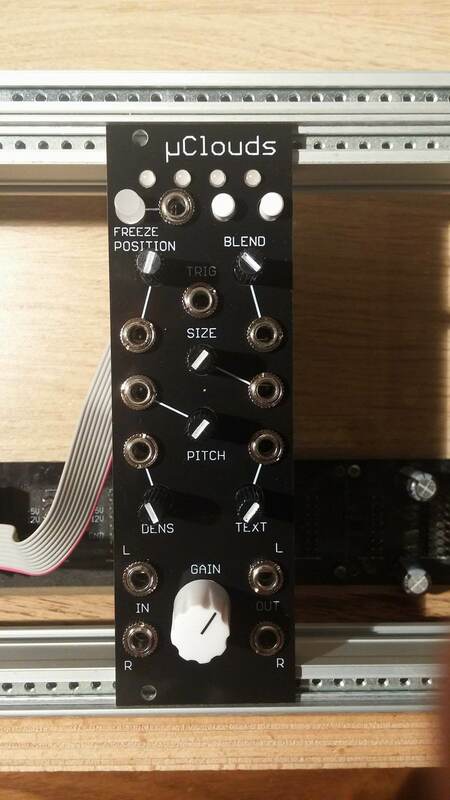 Not being fan of the micro trend i was a bit wary about how "hands-on" this module will feel but i was pleasantly surprised to find that its playability is not hindered one bit by the small form factor. This surely has to do with nice spread of the controls and well thought out layout - certainly the best 8HP Clouds version one could put forth. * I will ship worldwide. Ships from EU. * Shipping is 10 eur worldwide. * Local pickup is possible.